Stick it in a big Ziploc, store it in the freezer and save it for decorating a gingerbread house in December. 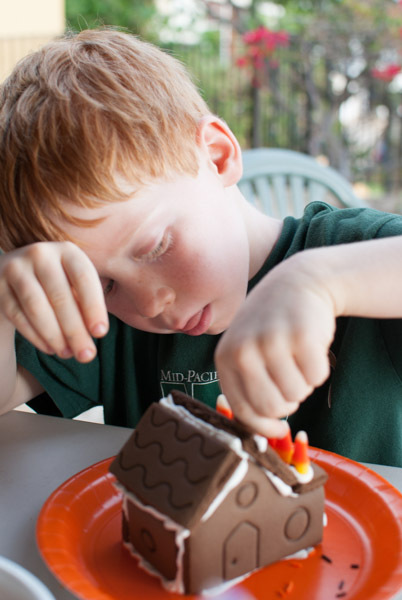 We make our gingerbread houses each year on Christmas Eve day. It’s a great way to channel some of the excitement and energy that Dec. 24 brings. Revisiting the Halloween stash adds to the fun. 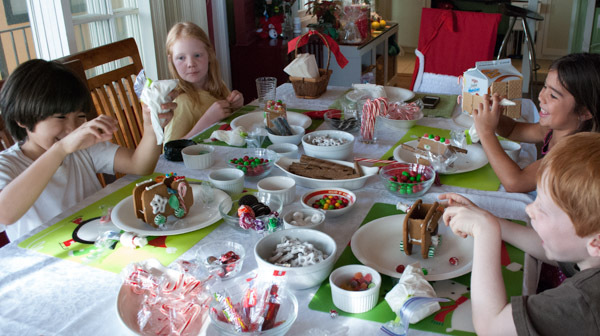 Tip: We leave our decorated houses out for Santa, who takes them with him and leaves us a thank you note. See if your dentist participates in the “Halloween Candy Buyback” program (http://www.halloweencandybuyback.com). 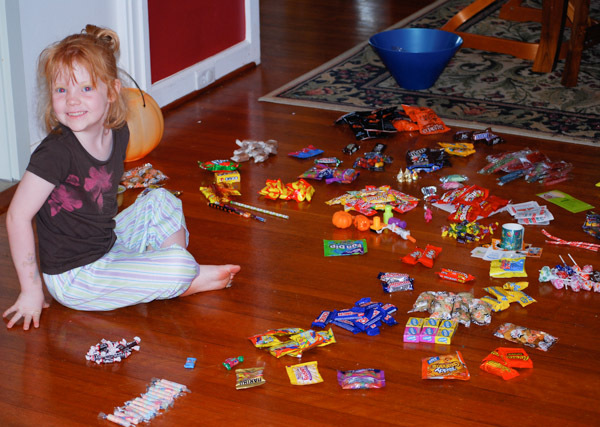 Children can swap Halloween candy for cash on Nov. 1. The candy is then sent to soldiers through Operation Gratitude. Send it to a soldier directly yourself. Check out Operation Gratitude to learn how you can send candy to soldiers http://www.operationgratitude.com/halloween-candy-buy-back-2012/. 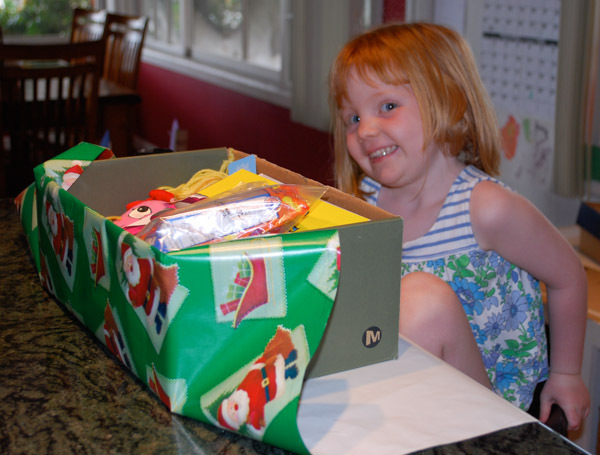 Save some of the hard candy for Operation Christmas Child (see my blog on November 1 for more information). Prepare for a visit from the Switch Witch. This tooth fairy-like creature comes at night and swaps the bag of candy for a different treat such as a book or small toy. 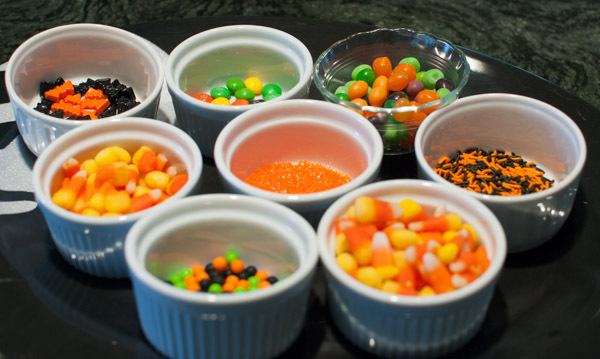 Read more at Parents.com http://www.parents.com/holiday/halloween/traditions/too-much-candy/. 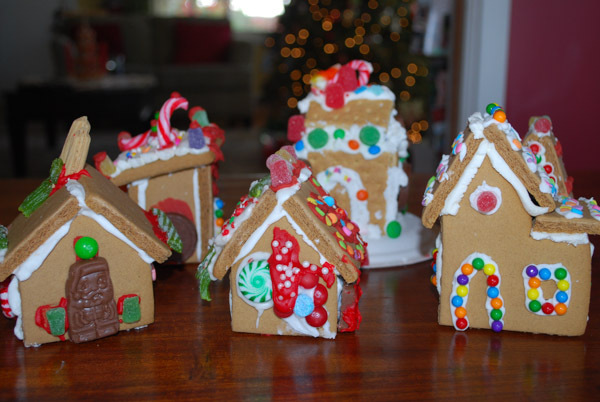 This entry was posted on October 5, 2015 by mdaucello in Crafts, Halloween, Holidays and tagged gingerbread house, Halloween candy, leftover candy, operation christmas child, operation gratitude.